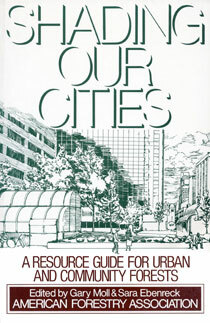 Shading Our Cities is a handbook to help neighborhood groups, local officials, and city planners develop urban forestry projects, not only to beautify their cities, but also to reduce energy demand, improve air quality, protect water supplies, and contribute to healthier living conditions. Chapter 8. Who Owns the Trees? PART III. What Makes a Tree? Chapter 12. The Green Team: Who's Working on Trees?